Closing a deal is the ultimate reward for all of the research, preparation, and follow up that goes into building new relationships and maintaining a high level of client satisfaction. Handling objections shouldn’t be about arguing, it should be about understanding the other person’s response and then positioning your solution in such a way that it reassures the potential customer and entices them to want to learn more about what you’re offering. There is no question that it is harder than ever to sell. Overcoming objections is probably the most important skill for making a sale. You can be a great presenter, have marvelous social skills, and lots of drive, but if you can’t eliminate the buyer’s objections, then a positive outcome is definitely not guaranteed. Quite often, salespeople engage in “magical thinking” by hoping that objections will either be trivial or even non-existent—both of those are just bad assumptions. There are four reasons why I want you to ask the "obvious" question during an interview with a customer. The reasons are as follows: 1. Great stories. 2. The right questions. 3. Their perspective 4. Explanations. What's obvious to one person can be a source of oblivion to another. This is applicable to when a salesman meets a customer. Why? Because the salesperson works for one kind of a company, and the customer works for a completely different kind of a company in a completely different kind of a role. And so the two of them are not likely to agree on what "obvious" may be. They worry about asking an obvious question – as if there was a death penalty associated with it. 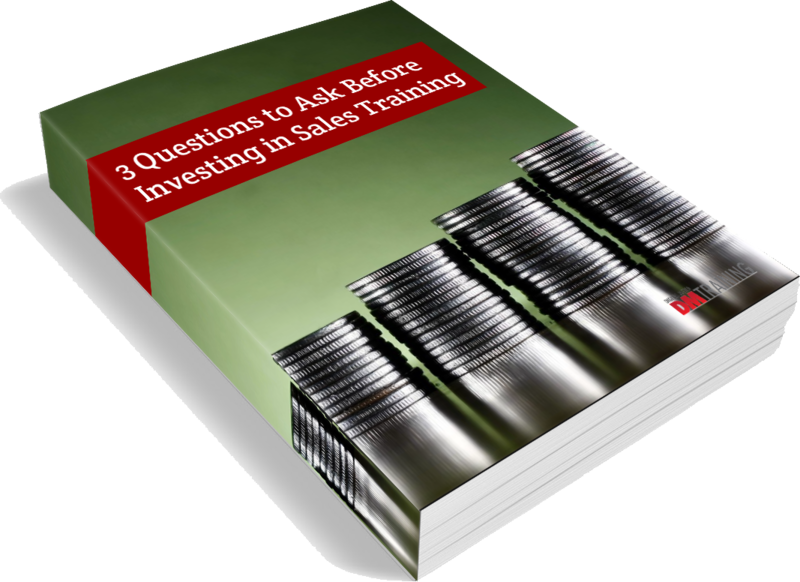 I’ve spoken to 30,000 salespeople and none of them have ever told me that they were kicked out of an office for asking a too obvious of a question. But what sometimes happens – and many times does in fact happen – is that the obvious question triggers a story. So it’s not the question; it’s the story answer it produces. That’s the key concept. So what question is going to get you onto the very subject about how important solving their issues are and how you can help? How are you going to get into that conversation if you’re not talking about that subject? How are you going to get there if you’re not talking about some “obvious” question? Ask the right questions. You need to think about the world from the point-of-view of the person you’re meeting with. Imagine being in that kind of a company which makes money in a certain way and has organized itself with a certain go-to-market strategy. It is constructed in a unique way and has a certain kind of market share and they do things in a particular way. What questions can you ask will really get to the heart of the matter? Really get into the customer’s shoes, so to speak, and imagine the world from where they are and the only way to do that is to research. But once the thorough research is completed, you’re now able to ask the most important question. It’s as if you’ll be the "mirror" organization and this client was meeting his counterpart (you) and the two of you now completely understand each other. How can you solve your client's challenges? What is that one problem that is the trickiest of them all? This is the kind of question that you want to be asking: How is the client solving those "obvious" issues? Yesterday, we spoke about advocating the advantage of your product, not igniting an argument. It is also crucial to demonstrate curiosity by asking thoughtful questions. Here is the third ingredient to transforming an objection to a great appointment: customize.